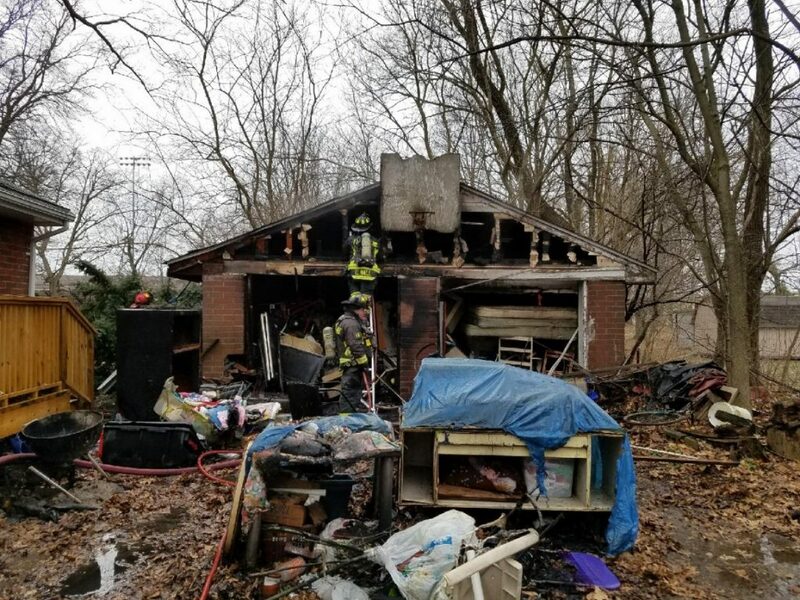 On Sunday 4-1-18 A-Shift Squad 13, Squad 14, Medic 13, Battalion 5, and Tanker 14 along with Clay Engine 25 responded to a working garage fire at 56171 Harmon Dr. Units arrived to find an unattached garage on fire with exposure problems. Mishawaka FD units responded but were held in staging and returned. Here is a photo from the scene.